Starting off the June 2016 with another Liebster award. Yaayy!!! 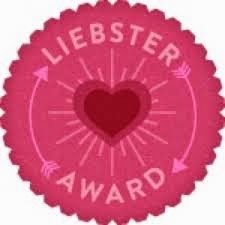 :) This is my Fifth Liebster award and am glad am here. Without wasting much time let's see who has nominated me and the questions posed. This time I was nominated by two co-bloggers Sangeeta and Neha. I am a regular reader of Sangeeta's blog whereas I read Neha's blog sometimes. 2) Assuming you don’t have a pet and someone gifts you one today, what would you name him / her? 3) What do you think about getting a tattoo? 4) What are your summer go to tips for healthy skin? 5) If the sky were the limit, what would you like to do next? 6) What is your favourite makeup brand? 7) If you could pack up your bag and leave to travel the world, where would you go first and what would you want to do? 8) How do you calm yourself after you break your favourite makeup product? 9) What does your beauty wish list include? 10) Tell me one random fact about yourself. 1) What motivates you to blog? My school and office friends who read the blog but never inform me that they are regularly reading it. 2) How often do you post content on the blog? 3) Which is your all time favourite movie and why? Jab We Met because it is full of life and I don't get bored after reading it unkempt times. 4) What is your favourite beauty product ever? My parents, my brother and my husband. 6) How would you describe your blogging style? 7) What is your favourite hobby? 9) Who are your top three favourite bloggers? 10) Which blogs you check daily? Looking forward to the answers of my nominations.